www.who.int/en/ WHO is the directing and coordinating authority for health within the United Nations system. It is responsible for providing leadership on global health matters, shaping the health research agenda, setting norms and standards, articulating evidence-based policy options, providing technical support to countries and monitoring and assessing health trends. www.iarc.fr/en/media-centre/pr/2011/pdfs/pr208_E.pdf World Health Organisation Press Release: IARC classifies radiofrequency electromagnetic fields as possibly carcinogenic to humans (Group 2B), based on an increased risk for glioma, a malignant type of brain cancer, associated with wireless phone use. www.emfacts.com/ Electromagnetic experts providing a resource to help empower others by gaining a better understanding of the complex issues. In depth blogs about the science & health of electomagnetism. www.arpansa.gov.au/ The Australian Radiation Protection and Nuclear Safety Agency (ARPANSA) is the Australian Government’s primary authority on radiation protection and nuclear safety. ARPANSA regulates Commonwealth entities using radiation with the objective of protecting people and the environment from the harmful effect of radiation. 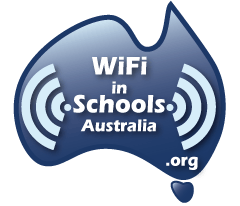 www.wifi-in-schools-australia.org WiFi in Schools Australia provides a starting point for Australian parents, caregivers, students, teachers and the wider community to become informed about the potential health effects from long term use of wireless technologies. www.environmentalhealthtrust.org Educates individuals, health professionals and communities about controllable environmental health risks and policy changes needed to reduce those risks. www.mercola.com The worlds number 1 natural health website. 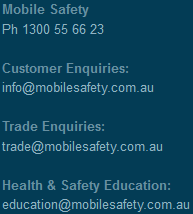 It features over 100 detailed articles on mobile phone radiation and health. www.mobilewise.org A United Kingdom non profit organisation pressing industry and government to help youth reduce the risks from mobile phone radiation. www.ehhi.org EHHI is dedicated to protecting human health from environmental harms through research, education and promotion of sound public policy.